Famed singer/songwriter/producer Sylvia Robinson wasn’t first person to conceive of putting the “raps” of New York City’s burgeoning MC-and-DJ culture onto a record; that distinction likely goes to Bill Curtis of The Fatback Band, who in the summer of 1979 recorded MC Timothy Washington on a song called “King Tim III (Personality Jock).” But it was Robinson’s record—a 15-minute rap marathon by three unknown New Jersey MCs over a sound-a-like version of Chic’s “Good Times”—that marked the true debut of hip-hop in pop culture. 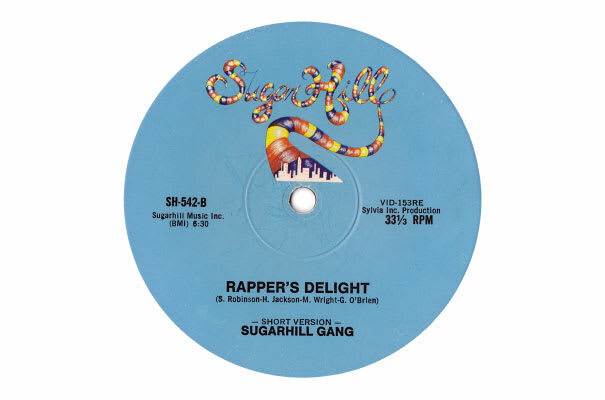 “Rapper’s Delight” by the Sugar Hill Gang quickly became the best selling 12-inch single of its time (Sugar Hill Records claims two million copies were sold domestically and eight million copies worldwide), and transformed Sylvia Robinson’s (and her husband and partner Joe’s) nascent Sugar Hill Records into a successful, Black-owned independent label. The Sugar Hill Gang and their patrons were reviled by the established hip-hop crews of the Bronx and Harlem, who resented that a pre-fabricated rap trio with no history or reputation was suddenly the ubiquitous face of the culture. But the Robinsons, flush with cash, quickly snapped up more authentic rap crews like the Treacherous Three and Grandmaster Flash and the Furious Five, buying the assets of smaller, less savvy players like Bobby Robinson’s Enjoy Records. In the early ’80s, Sugar Hill Records ruled rap almost completely and was on track to become the Motown for a new generation of young Americans. So why didn’t it happen? It’s a tangled tale, but no story is more telling than that of a young concert promoter named Cedric Walker, who flew to New York on his own dime to propose a hip-hop concert tour to Sugar Hill. Sylvia Robinson cursed Walker and threw him out of her office. Walker retreated and offered the same opportunity to a small-time artist manager named Russell Simmons. That tour became the New York City Fresh Fest, featuring a new crop of hip-hop performers who weren’t signed to Sugar Hill. Within a few years, Sugar Hill would lose its dominant position to smaller, white-owned dance labels like Profile and Tommy Boy, and to the biracial partnership of Russell Simmons and Rick Rubin at Def Jam.